Not for the first time, the NDP is trying to turn things around in Quebec. 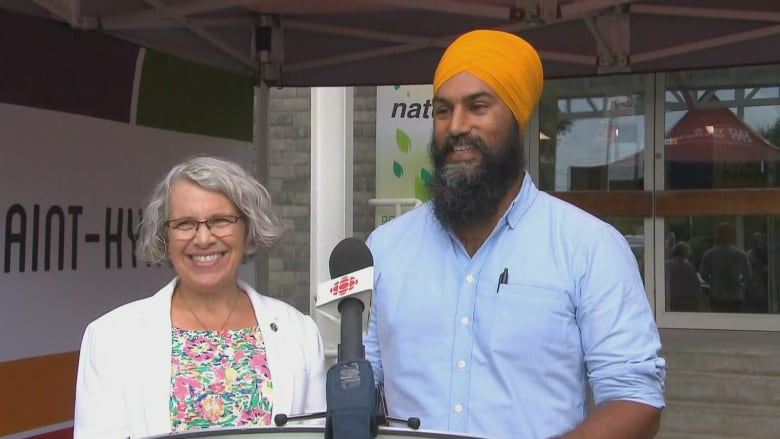 Fresh off his announcement that he would be running in an upcoming byelection in British Columbia, NDP Leader Jagmeet Singh is spending the week on the other side of the country in an attempt to renew some of his party's fraying links with Quebec voters. With a tour of four ridings in the Montérégie region of Quebec just south of Montreal — as well as the riding of NDP House Leader Ruth Ellen Brosseau in Berthier–Maskinongé — Singh is trying to highlight the province's renewable energy sector, contrasting it with the Liberal government's plans to take over the Kinder Morgan Trans Mountain pipeline expansion running from Alberta's oilsands to the B.C. coast. The terminus of the pipeline just happens to be in Burnaby, the city where Singh is making his bid for a seat in Parliament. New Democrats like to argue that with 19 per cent support nationwide, the party is in the same position it was going into the 2011 election, when the federal NDP formed the Official Opposition for the first and only time in its history. That's true. But the party also was in roughly the same polling position this far out from the federal elections of 2008, 2006, 1993, 1984, 1979 and 1974 — and was in a better position going into the 2015, 1988, 1972 and 1968 votes — all elections in which the NDP retained its position in the back corner of the House of Commons. ​Nevertheless, the New Democrats do enjoy an advantage in some parts of Quebec that they've rarely enjoyed in the past: incumbency. But only one of the five ridings Singh is visiting during his Quebec tour has a New Democrat incumbent who might be favoured for re-election next year. Brosseau captured 42 per cent of the vote in her riding of Berthier–Maskinongé in 2015. She was one of only four Quebec New Democrats to hold or increase their vote share in the province in that election. The other three were Quebec lieutenant Alexandre Boulerice in Rosemont–La Petite-Patrie, Parliamentary Leader Guy Caron in Rimouski-Neigette–Témiscouata–Les Basques and Philip Toone in Gaspésie–Les Îles-de-la-Madeleine (who, unlike Boulerice and Caron, was defeated). This suggests that Brosseau, Boulerice and Caron have succeeded in separating themselves from the wider fortunes of the party in Quebec. If the NDP holds any seats in the province, these are the three at the top of the list. But the four other ridings on Singh's tour are among those least likely to stick with the party. Saint-Hyacinthe–Bagot, Drummond, Beloeil–Chambly and Salaberry–Suroît were all won by the New Democrats with 31 per cent of the vote or less, with drops of between 12 and 24 points from the previous election — roughly in line with the party's overall drop of 17 points in Quebec. The party's margin of victory in these four seats averaged two points, as the NDP squeaked by in three-way races with the Liberals and Bloc Québécois. The Bloc's leadership turmoil has contributed to a plunge in its support, but the federal Liberals are leading in Quebec with about 42 per cent — up about seven points from 2015. That combined 15-point swing between the Liberals and NDP would easily put all four of these ridings into the Liberal column. Singh's visit is part of a wider strategy to try to turn those trend lines around. But it's also part of the NDP's long history of trying to woo Quebecers despite the limited prospect of success. At the moment of the party's founding in 1961, the party decided to drop the word "national" from its constitution in order to avoid offending French Canadians, a suggestion that was called "the silliest proposal ever laid before an assembly of grown-up men and women" by one NDP delegate. In the subsequent 1962 election, the party captured four per cent of the vote in Quebec. In 1965, Robert Cliche, leader of the party's Quebec wing, confidently predicted the party had a chance in 15 to 20 ridings in the province. Cliche was correct in forecasting that the NDP's fortunes would improve in Quebec, as its popular vote increased from seven per cent in 1963 to 12 per cent in 1965 — but the party failed to elect a single Quebec MP that year. During the 1971 leadership convention, the party was divided over recognizing the right to self-determination for Quebec. The split laid bare tensions between the party's Quebec and socialist wings on the one hand and the rest of the membership on the other. According to a report in the Globe and Mail, "the dispute over the Quebec issue provided most of the interest and the only real excitement" in a leadership forum at the convention. 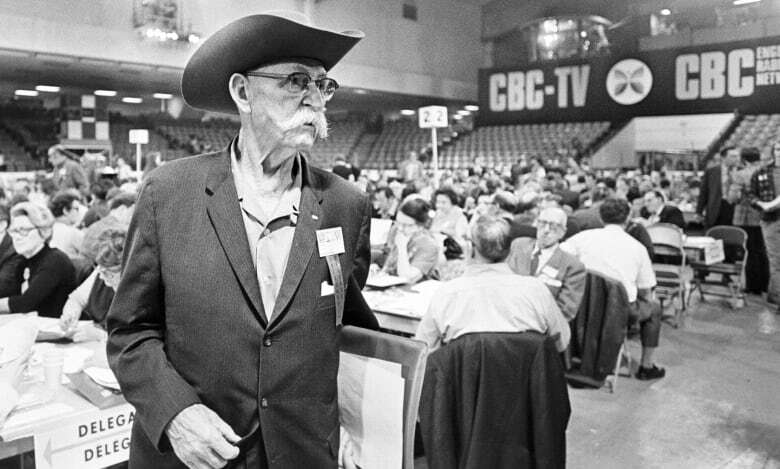 Party faithful rejected the proposal — but the NDP still captured just seven per cent of the vote in the 1972 election. In the 1989 leadership race, the party was again split over Quebec. The unilingual former B.C. premier Dave Barrett criticized the Meech Lake Accord as alienating Western Canada and the party's Quebec wing pinned its hopes on the possibility that the bilingual and Accord-supporting Bob Rae, then leader of the Ontario NDP, might run. He didn't; the party went instead for Audrey McLaughlin, who could speak French but had virtually no profile in Quebec. According to Lise Bissonnette, writing in the Globe during the leadership contest, "the Quebec NDP [was] going through another of its painful rebuilding phases." In the subsequent 1993 election, the NDP won less than two per cent of the vote in Quebec. The party was still in the wilderness when Jack Layton took over the leadership in 2003. Born in Montreal, Layton required eight years and four elections before he could propel the NDP from its traditional levels of support in Quebec to its 2011 breakthrough. Whether the NDP has finally planted long-term roots in Quebec will be demonstrated in next year's federal election if the party is able to win a few seats and a respectable share of the vote with a non-Quebecer at the helm. An early test will come in the byelection yet to be called to fill Tom Mulcair's vacant seat in the Montreal riding of Outremont. Mulcair's byelection victory in 2007 was a precursor to the party's eventual breakthrough in the province. While the NDP's hold on the seat was largely based on Mulcair's high profile in Quebec, the party's performance in the byelection will measure how much of a draw the NDP remains in the province in seats where it is the incumbent. It will be a challenge for the NDP to win Outremont. Still, retaining a significant share of its vote would signal that the party can survive in Quebec post-Mulcair. 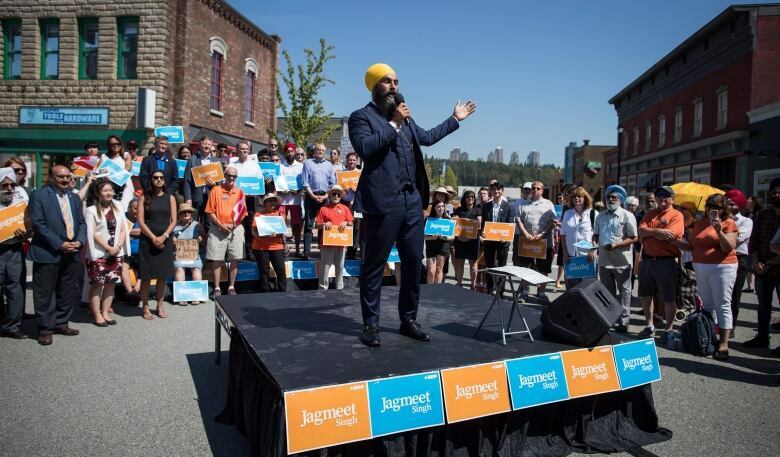 Singh will be finishing his tour this week in Montreal, but his decision to opt for Burnaby South rather than Outremont for his bid for Parliament suggests the NDP is concerned about its prospects in Quebec. Singh will spend some time there this summer to try to bolster his party's chances in a few marginal ridings, but he's not willing to risk his political future on the province. Not this time, at any rate.